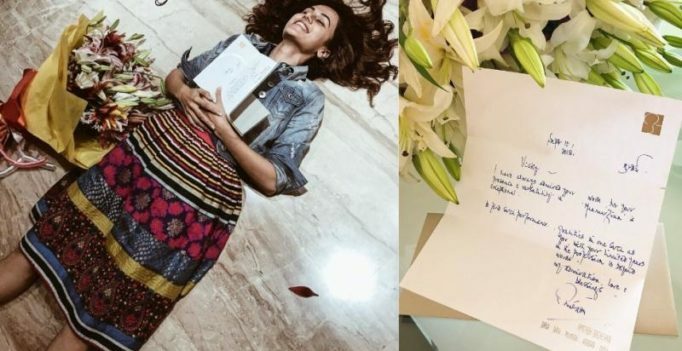 Pannu, who has previously shared screen space with Bachchan in ‘Pink’, shared her photo – sprawled on the floor with the letter in her arms and the flowers by her side. “Finally! THIS LETTER! A milestone achieved!” the actor, who is set to reunite with Bachchan in ‘Badla’, tweeted.